Medical Degree. Faculty of Medicine and Pharmacy – Bucharest University “Carol Davila”. Μarch.2002 – June.2003: General practitioner. General Hospital of Tripoli, Health Center of Astros Kinourias. Sept.2003–June.2007:Assistant Ophthalmologist.Research and Therapeutic Institute “OPHTHALMOS”. 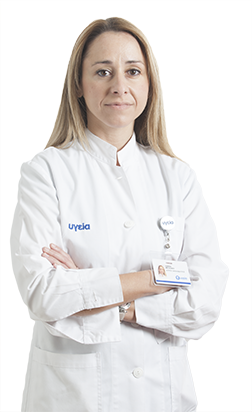 Α)Consultant Ophthalmologist.Ά Ophthalmology Department, “HYGEIA” Hospital, Marousi, Athens. Sept.2014 – to date: Scientific supervisor – Ophthalmology department of “Hygeianet” medical center (part of “HYGEIA” Group), Peristeri, Athens. Νew approach in customized and non customized treatment of refractive errors with Zyoptix 100.19th and 20th HSIOIRS Congress, (February 17-20, 2005, February 2-5, 2006) Athens, Greece. Sports vision and refractive operations. 20th HSIOIRS Congress, February 2-5, 2006 Athens, Greece. Pearls for ocular surface disease. 48th Panhellenic ophthalmological congress , 14-17 May, 2015, Olympia – Greece .